This topic has 0 replies, 1 voice, and was last updated 2 weeks ago by Brett Warthen. 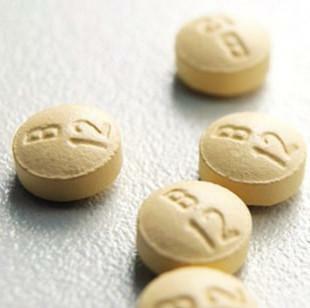 A recent study concluded that one of the active forms of Vitamin B-12 offers neuroprotection and significantly prevents neurotoxicity in animal models of Parkinson’s which are influenced by a hereditary genetic variation in the LRRK2 gene. Well, I’m not a scientist, and if you are reading this, you probably aren’t either…so let’s try to break this down so the rest of us can understand. Most cases of PD are idiopathic, which is a medical term that means of unknown origin. Doctors like to sound smart, so instead of saying “I don’t have a clue” or “Beats me”, they say idiopathic. Some cases of PD (only 1-2%), can be linked to a genetic cause where people with particular genes are more likely to develop PD. The most common of these bad genes is LRKK2. A lot of current PD research is focusing on trying to understand LRKK2 and prevent people with LRKK2 from developing PD, including the study that brought Vitamin B-12 to our attention for this article. It is important to note that this particular study did not involve people as test subjects, it used genetically engineered worms, flies and mice. It found that the Adenosylcobalamin (AdoCbl) form of Vitamin B-12 (1 of 4 formulations of B-12) binds to LRKK2 proteins, and breaks down the protein, preventing neurotoxic effects. If other studies can confirm this, and if it also applies to humans, then this is very interesting. Although LRKK2 activity is normally associated with a genetic variation, a study last year did a post-mortem (after death) examination of the brains of individuals with PD who did not have the LRKK2 gene, and found significant increases in LRKK2 activity compared to control subjects. This suggests that even without the genetic variation, LRKK2 activity is highly activated with Parkinson’s. So it is possible that this study may be significant for Parkinson’s in general. Possible, not certain…keep in mind that we are talking about a single study focused on animal models of LRKK2 induced Parkinson’s. Last year, results were released for a study that looked at Vitamin B-12 levels in early stages of Parkinson’s and found that low B-12 levels in these early stages were a good predictor of a greater worsening of mobility as PD progressed. In moderately advanced Parkinson’s disease (PD), low serum vitamin B12 levels are common and are associated with neuropathy and cognitive impairment. However, little is known about B12 in early PD. In this study of early PD, low B12 status was common. Low B12 at baseline predicted greater worsening of mobility whereas elevated homocysteine predicted greater cognitive decline. Given that low B12 and elevated homocysteine can improve with vitamin supplementation, future studies should test whether prevention or early correction of these nutritionally modifiable conditions slows development of disability. Before you rush to the store to buy B-12 vitamins, there are a few more things to be aware of. I mentioned there are 4 formulations of B-12. This study focuses on AdoCbl, but that does not mean that your vitamins need to use this formula. Your body breaks down all forms of B-12 to cobalamin, and other body processes use the cobalamin to create AdoCbl. This is not medical advice. My personal opinion is that Methylcobalamin (MeCbl) and AdoCbl are the two active forms found in the human body, so I prefer these formulations as being more natural. A review study focusing on B-12 bioavailability points out that MeCbl has been found to be more bioavailable than AdoCbl. Consult your nutritionist and doctor for their opinions.